MUST-HAVE DRESSES FOR 2019: THE MIXED PRINT DRESS. | O. R. R. - Life & Style Journal. Welcome to part two of my "Must-have Dresses for 2019" series! On today's radar, we have got the mixed print dress. 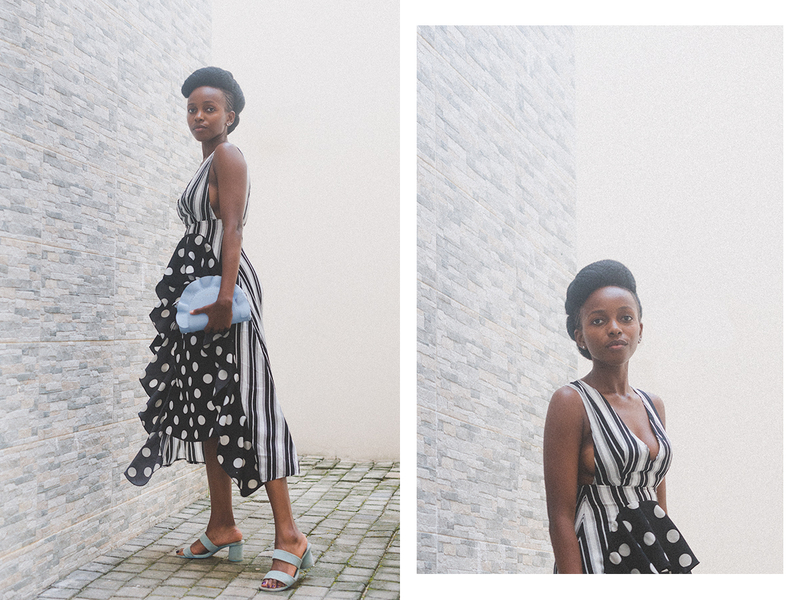 If you're wary about mixing prints but still want to try out this trend, monochrome mixed stripes and polka dots is probably your safest bet. This particular beaut is from PrettyLittleThing and you can still shop it here on sale. If you're more daring, you can go for a floral and animal print mix. Clashing prints is in. I decided to wear my favourite Ted Baker crossbody as a clutch and I think it goes pretty well with this look. As usual, I've included links to similar dresses below!